Unfortunately, I lost some posts to my blog during a recent server switch. It used to have some ramblings about switching to 27.5/650b wheels, but that update got lost, so I’m posting about it again. 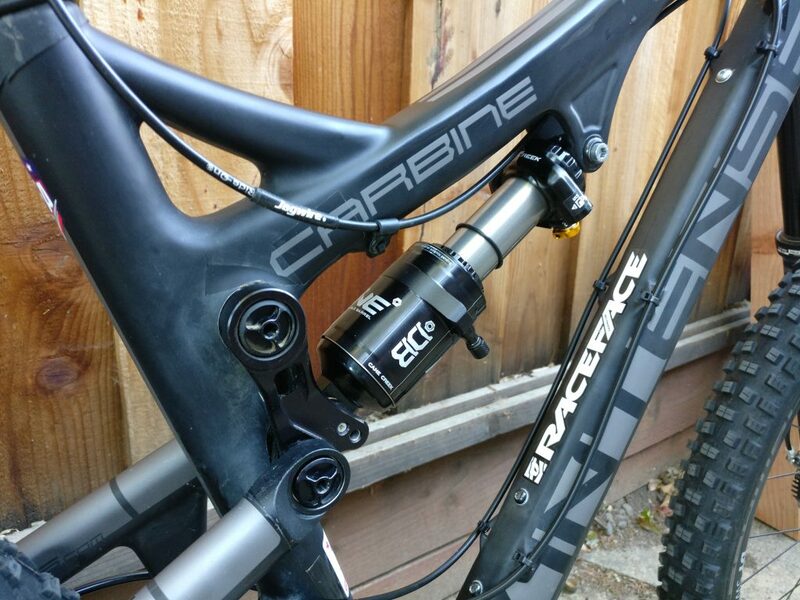 TL;DR, I went 27.5 not long after I cracked my 26″ Ritchey carbon rim in my other Carbine post. I never ended up building the Ritchey rear wheel with the rims I found on eBay. 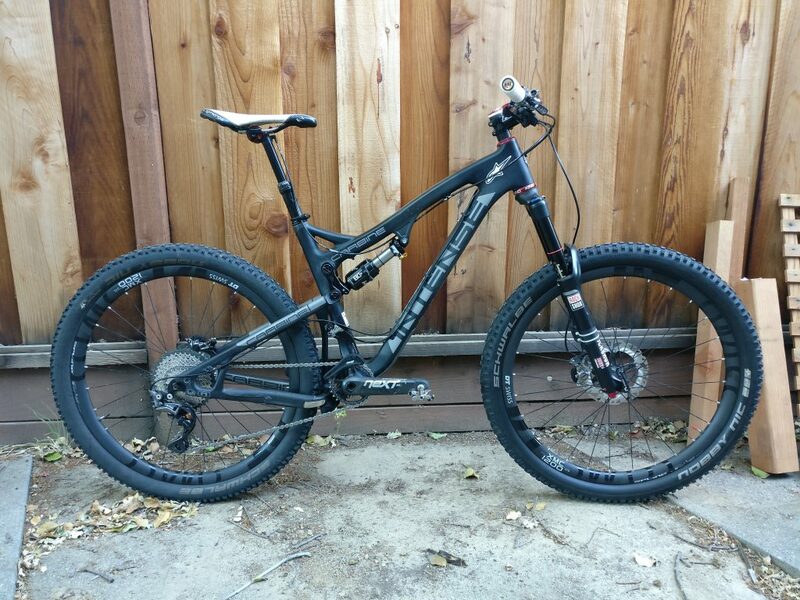 Instead, I bought a Pike 150 and a set of DT Swiss XRC1250 27.5″ carbon wheels and made the jump tp the 27.5″ revolution. As luck would have it however, I left the front wheel at the trailhead after hastily packing up after a ride. Doh! I went back within 30 minutes but it was gone and no amount of trying to find them turned up anything. So what to do? Well, I ended up buying yet another set, then sold off the extra rear wheel for pennies on the dollar. Pretty costly lesson, in fact I could’ve bought a set of Enve’s at full price for the price I paid in the end(!). After a few more happy months of riding, I found a deal on the newly announced replacement for the XRC1250’s, the XMC 1200’s. Nearly identical spec, but wider at 24.5mm internally (vs 21.5mm), plus squarely rated for full-on trail/enduro use (which I certainly aspire to be!). And since I can’t say no to a great deal, I picked them up and sold off the XRC’s. 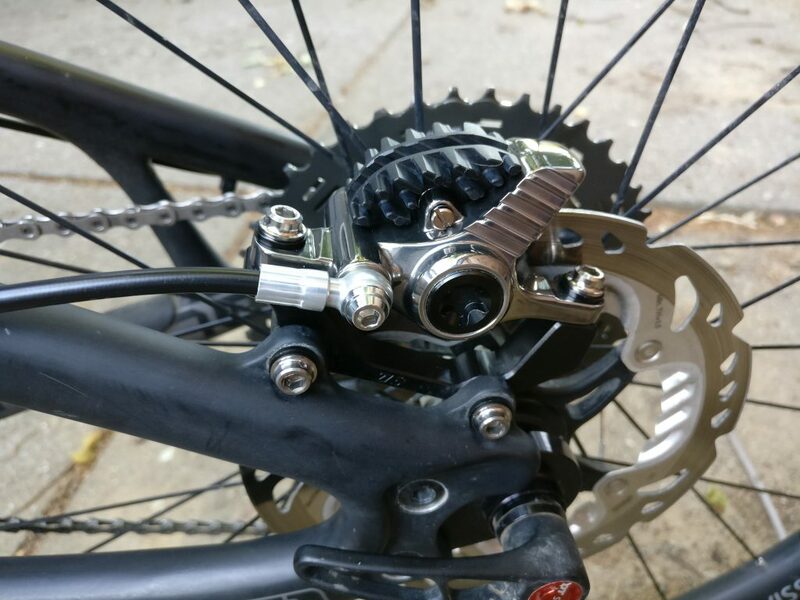 I also recently decided to go 11-speed and upgraded the whole drivetrain and brakeset with the primo XTR stuff (because why not? 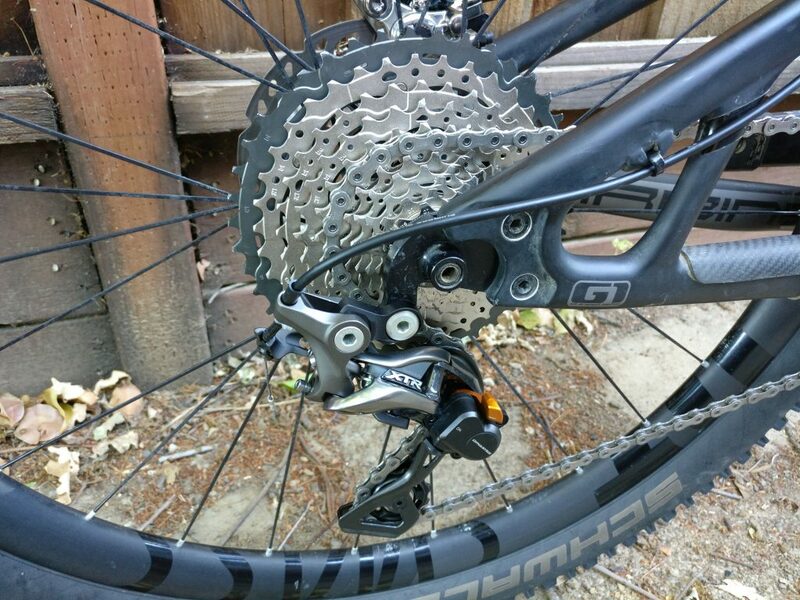 OK, I admit I skimped on the cassette and chain with XT…). I even used Gore Ride-On cabling for the dropper. 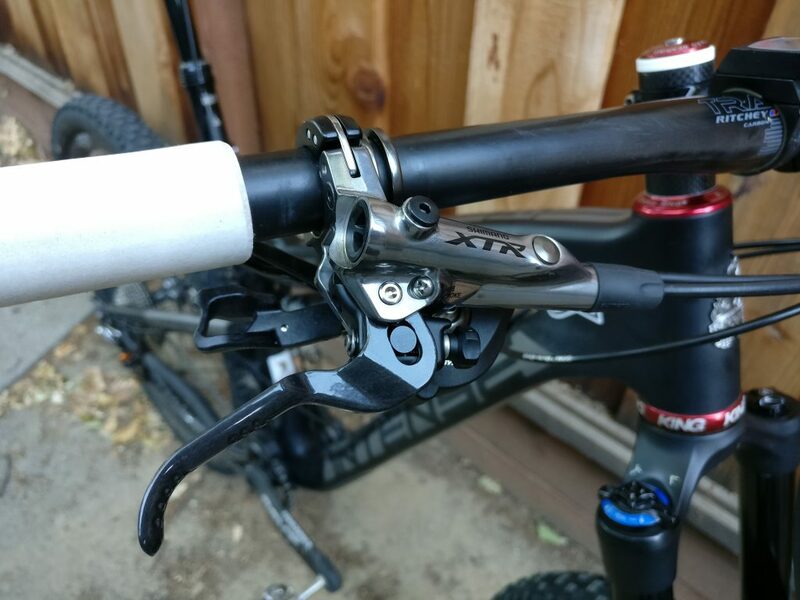 I also found that my Fox CTD shock lost it’s lockout after a recent rebuild, so I was going to send it in to Fox, but after running the numbers with an upgrade to their EVOL air can, I started looking at other shock options instead. 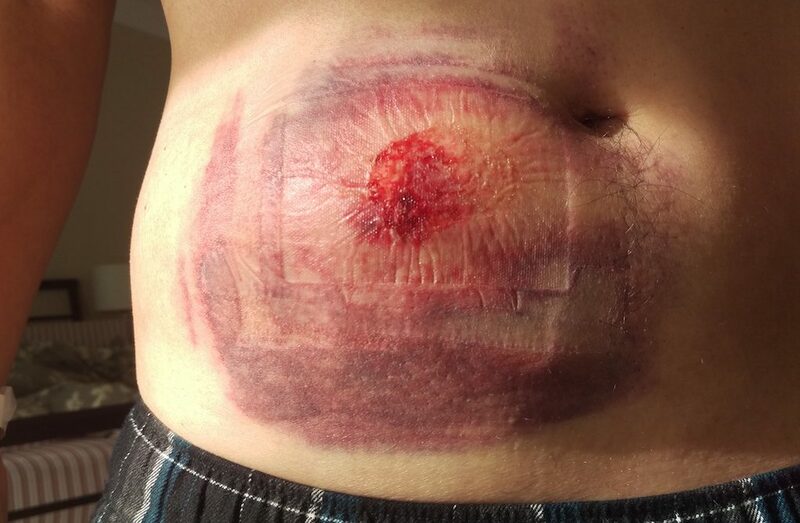 …after I heal up from a nasty OTB on the Inline’s maiden ride, when I washed out on a downward curve and the bars stabbed me right in my gut next to my belly button. Ouch, to say the least! Thankfully nothing too serious, just a massive hematoma. It’s been exactly 2 weeks since, and it’s cleared up nicely, but the hematoma remains…and rock hard. Hopefully it finds its way back into my body, but for now it’s keeping me off the bike. This entry was posted in Bikes on June 23, 2016 by bryanus.